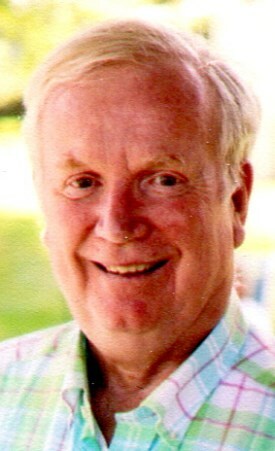 Home Obituaries Notices John C. "Jack" Donohoe, Jr.
John C. “Jack” Donohoe, Jr.
John C. “Jack” Donohoe, Jr. of Marblehead, MA, formerly of Chelmsford and Lowell, passed away on Thursday July 26 at age 73. Jack was the son of the late John Corbett and the late Kathleen (Prindiville) Donohoe. He was a graduate of the University of New Hampshire and Franklin Pierce Law School. Jack is survived by his much beloved wife, Missey (Rutter) Donohoe, his adored daughters Catherine Corbett Bresner, Seattle WA and Margaret Corbett Donohoe (fiancé Michael Smith) Dover NH; his cherished stepchildren Elizabeth Cutler (William), Norwood and William Kirby, Southborough; step grandson Samuel Cutler, Norwood; and his sister Joan O’Neil, Rye Beach NH. He was predeceased by his sisters Anne Sheehan and Barbara Newton. Jack was a faithful friend of Bill W. for over 47 years, during which time he helped countless people rebuild their lives. He was a devoted husband, father, and brother. His many nieces and nephews delighted in his Irish wit and wisdom. He was a thoroughly entertaining raconteur, an avid student of history, and a political enthusiast. Carrying on the family legacy, he practiced law for many years in Lowell and Chelmsford and, more recently, as a General Counsel to the MBTA. In retirement, he relished the opportunity to counsel young men in recovery when he worked for the Lawrence Correctional Alternative Center. All who knew and loved him will miss Jack’s vibrant spirit, but his presence will endure through his stories, which will be passed on for generations to come. Jack’s philosophy in life was a simple one: to be kind. He lived his life by this maxim, as evidenced by his longstanding friendships, his contributions to his community, and his fierce love for his family. Relatives and friends are invited to attend his Memorial Visitation to be held at the O’DONNELL FUNERAL HOME 276 PAWTUCKET ST. in Lowell from 3 to 7 P.M. Thursday August 2, 2018. His Committal Services will be private. The family will host a Life Celebration in his honor in Marblehead at a later date. E-condolences/directions at www.odonnellfuneralhome.com. Those wishing may make contributions in his memory to the Lowell House, 555 Merrimack St., Lowell, MA 01854. Arrangements by Funeral Director James F. O’Donnell, Jr. (978) 458-8768. We lost a great man a true friend and one of the kindest and funniest people on the planet. People he met always liked him. Those who knew him loved him. Deepest condolences Mussey to you and yours. Love Erin W.
Jack and I were pretty good pals in high school, and though I have not seen him since late one night on Market Street in 1967 I have thought of him fondly and often. I am glad to learn that he managed to catch hold of sobriety, as I have myself. It has been a fine thing, as I am certain that it was for Jack also. Requiescat in pace aeterna. 2018-08-05 07:23:12 | Andy Karl - "One of the Best"
Missey, Thinking of you at this difficult time, so sorry for your loss. Missey, so sorry for your loss. You are in my thoughts and prayers! Missey, Katy and Margaret, Jack and my father were the finest man that I have ever known. Each is responsible for the fact that I am alive. He is irreplaceable. Love, Bob K.
I knew Jack only through hearing about the love and laughter he brought to his family. And that tells me enough about his character to understand the impact he had on the broader community who truly loved him. I'm deeply sorry for your loss, Missy, Betsy and all. Love you and wishing you peace and comfort. Dear Missey, I am so sorry for your loss. I have many pleasant memories of Jack and I hope to see you at his Life Celebration. 2018-08-01 17:18:09 | gary small and deb cassin - Rest in Peace "our old pal"
So sorry for your loss, he was a great man. It was an honor to be in your presence Jack. You were a gentle giant amping your fellow man. Your face and your words will be remembered by all you touched In your journey to the Stars. Thank you for a lifetime of service!! 2018-07-30 16:59:32 | Pauline D.
To Missey, I am very sorry for your loss. Pauline D.